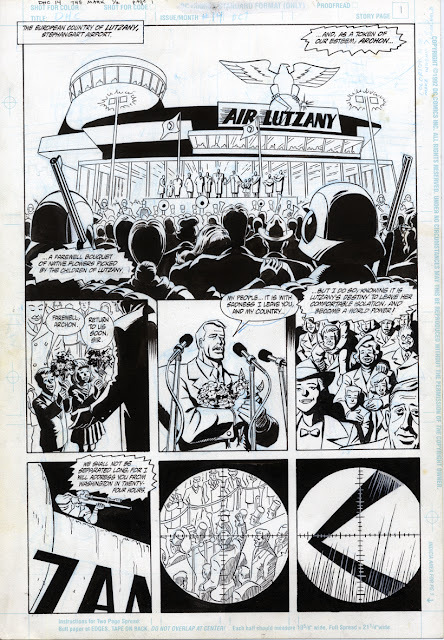 I will be presenting, over the next 125 days, the original art I executed back in 1993 for “The Mark In America”, published by Dark Horse Comics in 1994, in Dark Horse Comics #14 & 15, and “The Mark In America” issues #1-4. This work has not been reprinted or collected since, by Dark Horse or anyone else, so this is the first time most of y’all will have seen it. This is page #1 from Dark Horse Comics #14, “The Mark: Taking Back the Streets”, written by Mike Barr, drawn by Brad Rader, published in November, 1993.